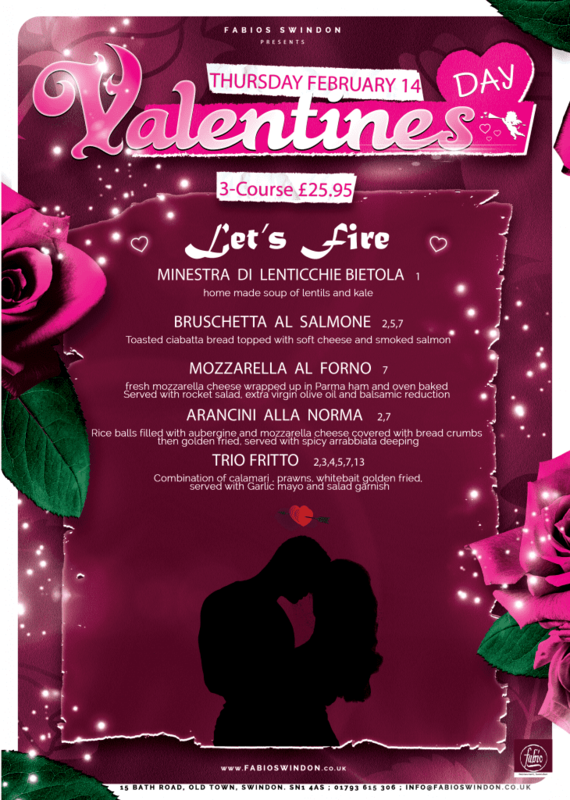 San Valentino; La Festa Degli’innamorati … Enjoy a loveable 3 course meal @ £25.95 pp. 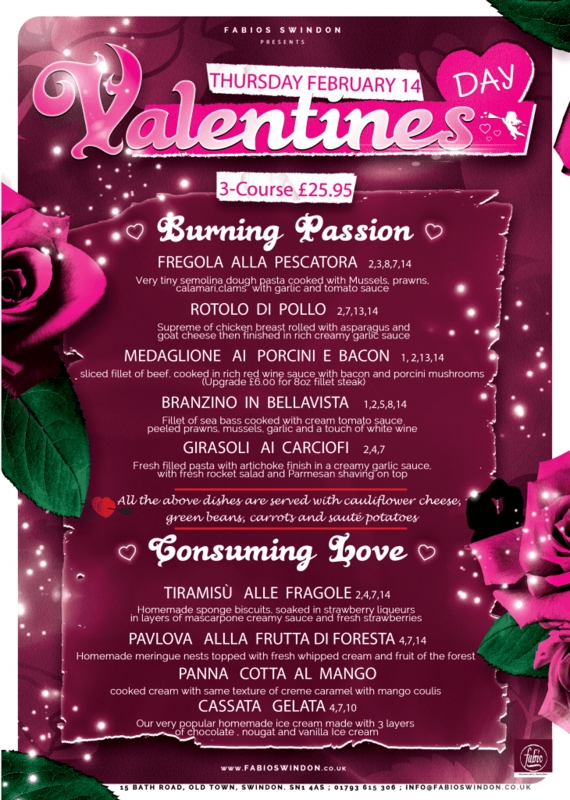 We are open Valentine’s Day from 5pm, Last Order at 10:30pm. Please advise us if you have any food allergies. Ask a member of staff if you need more information.